← Winter Retreat is Coming Your Way! All we need is love. Let love rule. Love’s in need of love today. Love is the fuel for everything we do, or at least it is for our third annual “love” show! 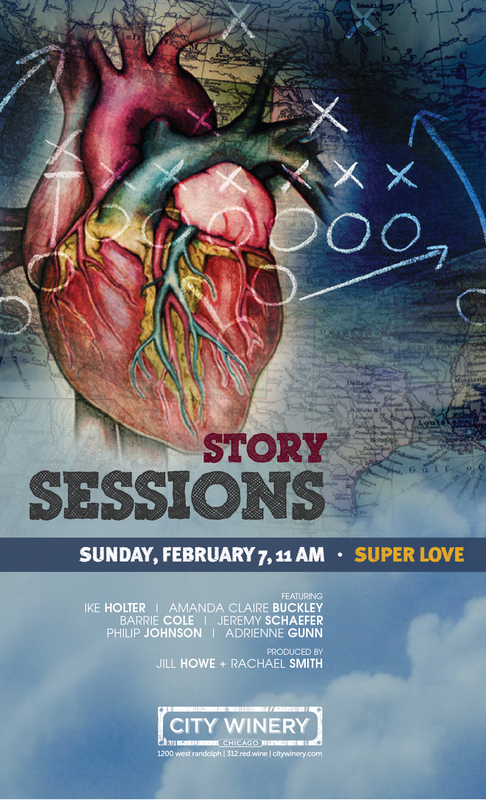 For our February show, appropriately themed “Super Love,” six performers will share true stories about all things love- the triumphant and the terrible. Join us for a sparkling story brunch and watch ordinary people tell extraordinary stories. Featured storytellers include Barrie Cole, Adrienne Gunn, Ike Holter, Amanda Claire Buckley, Jeremy Schaefer and Philip Earl Johnson with music by James Neary. It’s the love show not to be missed! Get your tickets here!